Do all pending legal compliances relating to company laws and reply accordingly. Company may also seek extension of time for such filing in its reply. If company not actually commenced business and is out of business, let Registrar of Companies strike off the company. However, this has a rider. 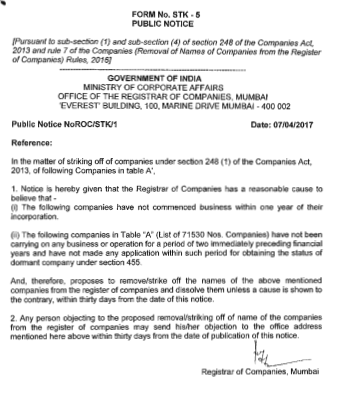 Individual notices to companies says “the directors of the company shall be liable for appropriate action under the Act” and “This dissolution is subject to the provisions that the liability of every director and members of the Company shall continue and may be enforced as if the company has not been dissolved”. Your company may be among company excluded from removal of name under proviso to sub – rule (1) of rule 3 as discussed in earlier post, just reply this fact. Let RoC decide its own way. Meanwhile, it is advisable to do all pending compliances. Where company in fact commenced its business and carrying on any business or operation, it should reply the notice immediately after doing all relevant legal compliances. 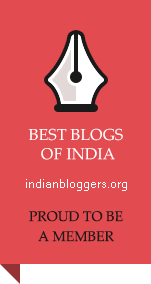 Companies with intention of doing business in near future are also in this category. Companies may also reply the notice and seek extension of time. After filing required document with required fee or additional fees, company may seek condone the delay, where required. Where company has not commenced its business or not carrying any business or operation and is not planning to carry on any business or operation in short to medium term period, it may afford such free of cost strike off. However, this option needs careful study on case to case basis. There is no fit for all solution. Non – filing of annual accounts and annual returns – if you have strong footing with absolutely no business or operation, do not bother, court may take lenient view. But there should absolutely be no business. If you have any doubt, do all pending filing and ask for strike off in your reply. Consequent liability of directors due to non- filing of annual account and annual returns may arise, when period of non- filing of annual accounts is three or more financial year. Disability of directors under Sections 164 and 167 may not be attracted as removed company is no more a company under the Companies Act, 2013. However, disability already incurred on or before the date of removal of name shall continue and could not be cured once name of the company removed from register. Directors shall be liable of all non- compliances of law made during the period of existences. Chances are rare if period of existence is less. Liability of members, other than directors, may arise monetarily, except where company opts to file all pending annual accounts and annual return as it cost. This entry was posted in Chapter XVIII - CA2013, Companies Act 2013 and tagged Removal of Names of Companies from the Register of Companies, The Companies (Removal of Names of Companies from the Register of Companies) Rules 2016. Bookmark the permalink.